Communities Dominate Brands: I want them everywhere, 2D barcodes: LOVE THEM, no more typing! I want them everywhere, 2D barcodes: LOVE THEM, no more typing! I've talked about my Nokia N-93 being a superbly complete phone. The one part I didn't speak much about, as I didn't really have good opportunity to test it, was the 2D barcode reader. Its the first Nokia phone I've had which has this feature. And it may be the best part of a fantastic superphone. A bit of background. One of the topmost experts of the mobile telecoms industry and long term personal friend to me is Voytek Siewierski, who until recently was an Executive Director at NTT DoCoMo the Japanese mobile phone operator giant and global innovator in mobile (launched world's first commercial mobile phone service even though the technology was invented in America, launched world's first mobile internet service, launched world's first 3G next generation mobile service, etc). Voytek and I lived in London for a few years by coincidence and we would then regularly meet to catch up and talk about the industry. Now I've moved to Hong Kong and Voytek to America, we see each other much less frequently. But yes, a most brilliant mind, long term executive with the world's most advanced mobile operator. He had forgotten more about our industry than most top consultants know. And he was always in touch with the future. So about two and a half years ago when I visited him at the NTT DoCoMo offices in London, Voytek pulled me aside to the demo room, and showed me a particular phone. It looked normal to me, a typical Japanese (ie at that time, very tiny) clamshell cameraphone/smartphone, with the typical NTT DoCoMo branding. Voytek said he had to show me something, and he thought it would revolutionize the mobile industry. He took a brochure in Japanese from the table, held the cameraphone to the brochure, aimed at what looked like a fingerprint on the page, and a second later the camera beeped, and suddenly the phone displayed a website address. I had seen an early demonstration of the 2D barcode and a reader on the phone. These were the first phones and around that time were hitting the market in Japan. I had read about 2D barcodes (also known as QR codes as in Quick Response). I had understood how they worked. Some other colleagues had written to me about them, enthusiastically even, and I even had already made my first Pearl (powerpoint slide) about 2D Barcodes. But until Voytek showed to me how it really worked, I didn't grasp the impact. This was as different from the bar codes I understood from the retail industry, as private cars are from busses in the automobile industry. Yes, busses are valuable, but for society, the revolution came from private cars. We are now seeing a similar change in how data will be accessed. I understood why Voytek was more enthusiastic about this than anything before. And I was immediately immensely impressed. I wanted that technology right away. Of course the DoCoMo demo phones were not GSM, etc etc etc. But from that point on I believed strongly in the future of 2D barcodes and I have wanted that technology to arrive here in Europe onto our phones. I've talked about this topic many times in various conference speakerships since then. In 2005 when I visited South Korea, another very dear friend and expert on our industry, Jim O'Reilly of the Korean IT Promotion Agency - took me to a demonstration of various applications of 2D Barcodes. While I'd seen many "laboratory" demonstrations at conferences and with miscellaneous companies, I had not seen them "in the open" used by society, at bus stops, on airline tickets, on business cards, printed on ads in magazines, etc. Jim helped me see how vast was the scope of using this technology. And by then in South Korea there were numerous phones already with this technology built in. I've really wanted 2D Barcodes. I even gone and converted many items of data to 2D barcodes. This here is our blogsite web address. If you have a 2D barcode reader, you can point it at your computer screen, aim it at this scribbly square "thumb print" here, and your phone will display www.communities-dominate.blogs.com - and you can then just click on the link and arrive here. So, I got my N-93 in late December. It took me a while to get my stuff organized, moving the pictures and contact lists and music and videos, and then do all the customizing I want on my phone etc. And I played with the 3x optical zoom camera and the TV quality video recording etc. But as I wasn't in Japan or South Korea, I wasn't actively bombarded with the 2D barcodes, and it took me a while to get to this feature. And then I had some heavy travel to Europe, and honestly, I forgot about 2D Barcodes. Now I've had a chance to play with it, and I LOVE it. I now want EVERYTHING to be in 2D barcodes. I want every business card to have them. Every poster, every brochure, every white paper - rather than printing out www.myhomepageisthishorriblylongname.com - just offer the 2D barcode, and let the phone do all the "virtual typing". I love love love this feature. Its not a particularly demanding application, so I'm sure it will very soon be in most phones. But now we need to learn to use this to our benefit. "Want more information, point your cameraphone at this." And yes, I am confident Nokia will roll it out across the range soon. I hope all other Western manufacturers follow, and that the Asian manufacturers release the 2D barcode reader versions of their phones to the rest of the world. So be prepared. Be very prepared. This will revolutionize our industry. Its YET another weapon in the mobile phone's arsenal making it the supreme data instrument and why the mobile as the 7th Mass Media is superior to all the previous six mass media. I share your enthusiasm for this mobile area. I wonder how long it will be before the Qode platform takes hold in the United States. I installed a barcode reader on my phone and I can't tell about the usability of the reader on your N93, but usability is shaky. Go to menue, make a picture, get the info and maybe do something with it. This all takes it time and clicks. And if you have a low resolution camera and it's too dark it won't work at all. These barcodes are kind of old news, and used to be called "semacodes" some three years ago. Unfortunately there were some stupid patents that kept the technology unused for this long (thank you european software patents!). My team looked at them in 2004 and we weren't able to do anything without paying stupid licence fees to those guys. It seems they are finally opening their eyes and seeing that they need to kill the patent or at least licence it with a more sensible price. Thank you Nokia, if you're the one pushing them hard. Another example of how software patents can be really bad for the general user and how a malefical company can pick up an existing idea, patent it, and completely kill the idea forever. "Hyperlink your world. With Semapedia you can connect Wikipedia knowledge with relevant places in physical space. ..."
Thank you for writing. Sorry I somehow didn't catch it that you had comments here. Swampthing - I'd guess this will cross over the Atlantic (or actually Pacific) rather much faster than most cellphone innovations, because a) Americans understand marketing and this is very much a marketing thing. b) the cameraphone population in America today is ahead of the early cameraphone populations in Europe a few years ago when these were first considered, and c) because of iPhone. June will be watershed moment, suddenly everybody in California will go mobile phone (cellphone) mad in June and this will be one of the hot stories. Or so thinks this one consultant ha-ha..
Bruno - yes, you're right. I think they were first launched in South Korea in 2003. But like I said, even though I had lectured on them and preached the story like a good disciple, this was finally the first time I had one on my own phone. And yes, I heard the early licenses were a serious drawback. Paola - thanks, will take a look. Thank you all for writing. You may also want to read my blog this week on Mobile as the 7th Mass Media, it touches briefly on 2D barcodes and makes many other outrageous claims in my particular style, ha-ha. If you are interested to know more about Qode, please see Mr. Jeff Mould’s blog. He’s the President and CEO of Announce Mobile. Why Qode is valuable to Hip2D? I'm as excited as you are about the applications for 2D barcodes! 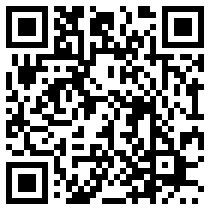 I've just written about it on my blog under "2D Barcodes - raising the bar "- I'd be interested in your comments. à bientôt, Mal, Paris. It seems like a lot of space used to convey a reasonably simple message. Why would you want to disguise information from consumers like this? The billboards I have seen, although they draw my eye, I have to whip out my phone and capture the message somehow in order to find out more? I like it because it is a novel idea, but a simple domain name written clearly is direct and it works, why change to capture less of the market less of the time? That is quite a handful even on a laptop keyboard, and quite miserable on a mobile phone keypad. The beauty of QR codes (Quick Response..) or 2D Barcodes, is that all you do is point your cameraphone at the squibble, and it magically displays the text, without any typing. Users TOTALLY love it. We do so much thumb-ing on SMS text messages (a third of Korean teenagers already average 100 texts EVERY DAY - in the UK thats already 10% etc) that any "vacation" from text entry on a mobile phone is most welcome. I have seen people starting to use the 2D Barcode reader, and it seems to be the same pattern everywhere. After you "discover" the feature, you suddenly look for those 2D barcodes everywhere, it is so cool and easy and simple, you WANT to point your cameraphone at those links. You don't necessarily then follow onto the links, but the joy is truly child-like, a wonder, of "this is how all web addresses should be". Whimsical, magical, wonderful. That is why the adoption rate is so incredible. I got a Motorola A1200 wich can read 2D barcodes, do you know where can I get a free 2D barcode generator software? This page made me really happy because my phone could read the 2d barcode posted here. Andres, I'm very happy and totally can appreciate how you feel. I was just in Japan this Monday speaking at Mobile Monday Tokyo and a quarter of the business cards I received had the 2D barcodes already on them. Can anyone tell me if there exist any list with all the cell phones which has a 2D barcode reader by default? The thing is I want to buy a cell phone with a 2D barcode reader but I know only 3-4 models. Good question. I haven't seen any such site or survey, but it would be of interest. I think eventually this becomes one of those standard features they tick on the boxes of comparisons of phones, such as in the catalogues of big operators and in the stores of major phone resellers like Carphone Warehouse. I seem to remember a company in Sweden doing a similar thing with normal barcodes and a reader attachment that could be added to a phone (before phones had cameras). I thought it was a great idea then (must have been around 1998 or 1999), but it never took off. Perhaps 2D barcodes and cameraphones give it a chance of being successful, let's hope so. Good point. There were also some ideas (some still in use) of sending traditional barcodes to mobile phones as MMS picture messages (as stripes to be shown on the phone display) which could then be scanned using a more-or-less regular barcode scanner like those in the supermarkets etc.